The Biennial Le Mans Classic takes place over the weekend of 8-10th July 2016. The event is one of the impressive festivals of historic motorsport anywhere in the world and celebrates the rich history of the world's greatest and toughest motor race. 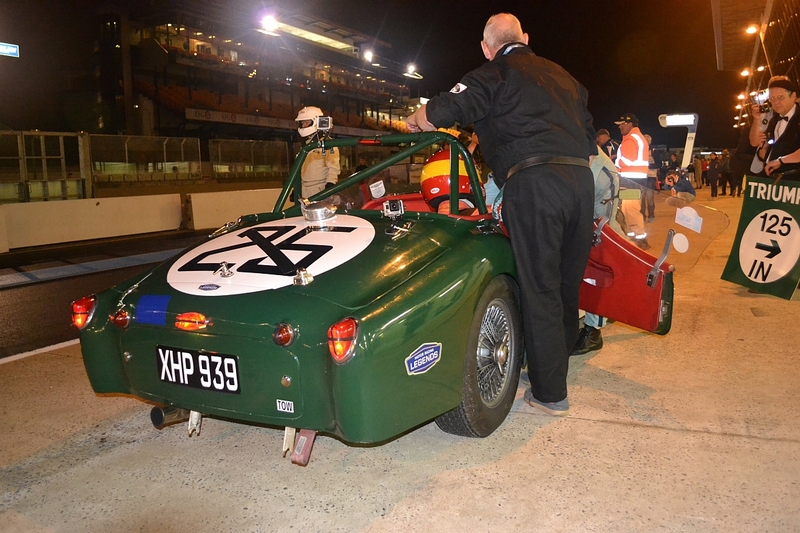 This year, the TR Register has teamed up with Millers Oils to enter a tribute Triumph TR3S into this high profile race to offer Triumph TR fans the opportunity of seeing a proven TR driven on the limit at the legendary Le Mans circuit throughout the day and night. 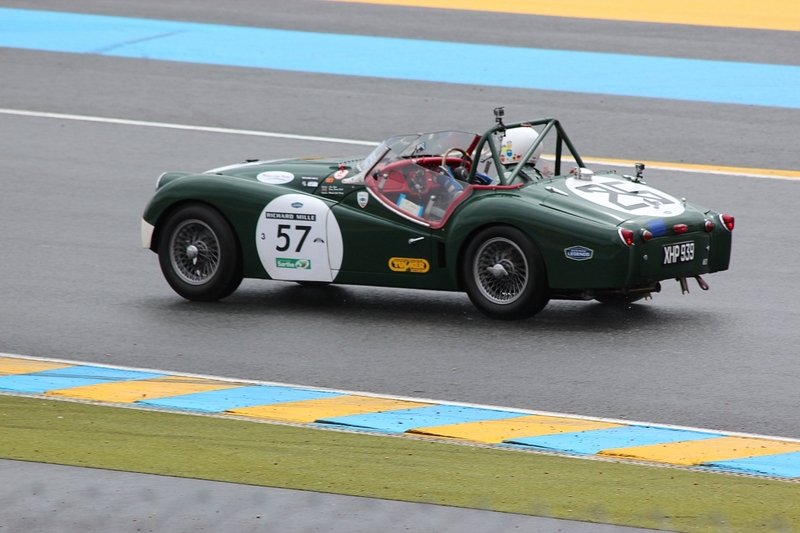 Standard Triumph returned to Le Mans after a four-year break in 1959 with the TR3S. The chassis was 6 inches longer than the production TR3A to aid stability on the high-speed Mulsanne straight and to allow for a larger engine bay within which Triumph fitted an in-house developed twin-cam engine, (known by the pet name of Sabrina). Although the car will be running a standard TR3A engine during the race it does still retain disc brakes front and rear, advanced technology for the era. The TR3S project lead to the more successful TRS and Spitfire campaigns of the early 1960s leading to a class win for Triumph in 1965. Paul Hogan, car owner and team manager is vastly experienced with racing at Le Mans, having had successful entries into the Le Mans Legends 24 hour support race in 2005 and 2013, Le Mans Classic in 2006, 2008 and 2014 plus many other UK based historic motorsport events. Paul Hogan, who also owns the car, has lined up John Sykes, Barry Siddery-Smith and veteran Claude Du Bois who astonishingly actually drove the original car for Standard Triumph at Le Mans in 1959. Paul is hoping to improve further on the success of the last event where the car finished in an impressive position leading to a commendation by the organisers for a strong entry. 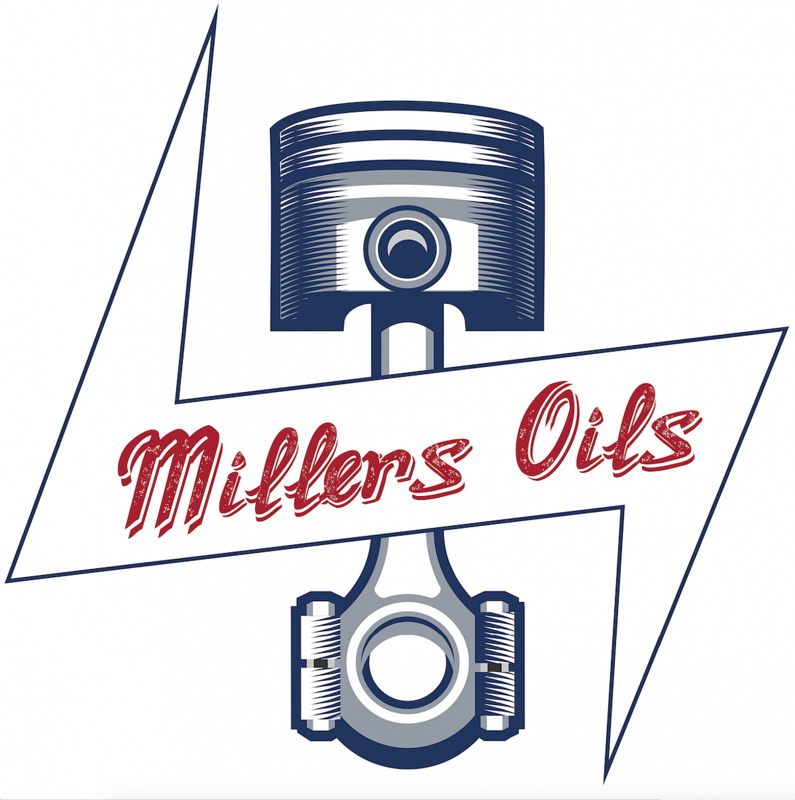 Millers Oils have proudly sponsored the entry and will be working closely with the team to develop a special formulation of oil optimised to give the TR maximum performance and protection throughout the grueling enduro. "Millers Oils use the latest advances in technology to create lubricants that meet older viscosity requirements whilst providing maximum protection, prolonging the life and performance of treasured classics," explains John Burton, Sales and Marketing Director for Millers Oils. "The association with the TR Register's entry to Le Mans Classic allows us a chance to develop our lubricant technologies yet further and prove them under these extreme race conditions." Burlen Fuels, who are the sole manufacturer for SU carburetors are also supporting the TR Register's Triumph TR3S entry to Le Mans Classic. As well as sponsorship, Burlen Fuels will be fitting a pair of newly re-manufactured developmental DU6 carburettors to the car throughout the duration of the race and are looking forward to the opportunity to prove their DU series carburetors under race conditions. The TR Register will be once again allowing fans and club members to follow the racing via live blog commentary and social media updates. The TR Register will be releasing a series of videos documenting the development of the oil for the race in Millers Oils laboratories, the results of pre-race testing and footage of the action throughout race weekend via the website at www.tr-register.co.uk , Facebook page www.facebook.com/trreg and Twitter @trevents. Now approaching its 8th year, the event expects to grow even further from the 8,000 classic cars and 110,000 sports car enthusiasts that descended upon Le Mans in 2014 to witness more than 400 competing cars. TR Tours travel partner Travel Destinations is offering a range of accommodation options for 2016. Camp alongside other TR Register members in a private area trackside within the Porsche Curves section of the circuit. It has 2 blocks of serviced showers and 2 blocks of WCs. The campsite has 24 hours security. The campsite has pitches of approximately 7m x 5m. This campsite is just south of the old Maison Blanche campsite, which is no longer available as it has become a Porsche Experience track. Can't fit a tent in your TR? Then the event tent (Glamping) option may be of interest as you just need your clothes and toothbrush and everything else will be waiting for you trackside at the Porsche Curves. Don't want to camp but wish to be at the track then a Flexotel room will provide you with your own private bedroom at the circuit. All bed linen and towels are provided along with twin beds and an allocated parking space adjacent to the room. Alternatively, the Hotel Ibis Le Mans-Est is located just 1.2 miles from the Le Mans Classic circuit and only 1.9 miles from the centre of Le Mans town. Comfortable clean rooms are provided with plenty of car parking. To reserve your place at the Le Mans Classic please call Travel Destinations on 0844 873 0203 and say that you are a member of the TR Register. A deposit will be required to secure your reservation. Don't you think it would be appropriate to mention who built this wonderful car? None other than the almost legendary Glenn Hewett.